Since in the last year or two I’ve heard a startling number of melodic rock albums that I’ve actually ended up enjoying, I decided to give the new Night Ranger a chance despite never really being a fan of the band other than a few songs (and I HATE “Sister Christian”). Deep at the core of Night Ranger I’ve always felt there was a really good HARD rock band there. When the band isn’t writing slick commercial melodic rock numbers, they can really go balls to the wall and they do this a number of times throughout Somewhere In California. “Growin’ Up in California” is a high-energy opener that name checks a few California locales and instantly brings to mind a song like “(You Can Still) Rock In America” as it somehow finds a perfect balance between the melodic rock & actual rock ‘n’ roll, keyboards & guitars. “Lay It On Me” is a great heavy number that precisely shows that the band can get down and dirty when they want to. Guitars! “Time Of Our Lives” follows in the great tradition of Night Ranger writing excellent ballads (“Sister Christian” is the exception to this excellence!) and is well-sung by Kelly Keagy. “No Time To Lose Ya” is extremely catchy and features a great chorus, one of the album’s best and most inspired tracks. “End Of The Day” is another excellent guitar-driven song, a bit dark sounding other than the chorus and yet somehow reminds me of Rick Springfield. “Rock N’ Roll Tonite” features a great chorus and is yet another guitar-centric number, classic Night Ranger hard rock. Tailor-made for a live setting and would’ve been a great way to close this album. “Say It With Love” is the album’s actual closer though and is absolutely infectious melodic rocker and ends the album on a high note. Though Hole In The Sun was a step towards a more modern sound that proved to be controversial/disappointing for some longtime Night Ranger fans, Somewhere In California has the band delivering what you would expect a Night Ranger album to sound like. In other words, this is “classic” Night Ranger. Having only casual knowledge of the band, if you would have told me this album was one of their releases from the 1980s for the most part I would have believed you. It sounds like Night Ranger: hooks, melodies, harmonies, great vocals from Jack Blades, great backing vocals, Gillis continues to prove himself as an unsung guitar demi-god (Joel Hoekstra is no slouch either!) and the keyboards are expertly woven into the tracks and don’t become overbearing. 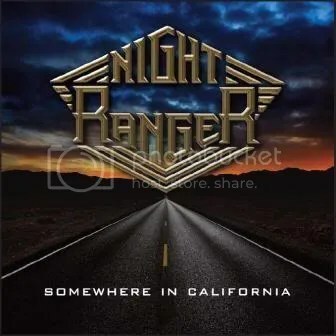 Somewhere In California is a really enjoyable album and should be a big hit in the melodic rock world and, most importantly, with Night Ranger fans. It was certainly a big hit with me since I consider 7 of the 11 tracks to be “highlights”! Buy ‘Somewhere in California’ at Amazon.com! I guess the official title is the one I typed out above, but whatever, that’s ridiculous. Tons of artists falling under the umbrella of the Universal Music Group were getting the 20th Century Masters – The Millennium Collection treatment around this time. I’ve documented my love/hate relationship with AOR and melodic rock in the past so that’s why this is my one and only Night Ranger purchase. I wasn’t sure if I wanted to try any of their albums so I started simple with a collection built for the casual listener. Casual I shall remain. 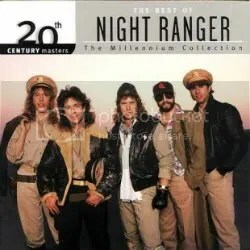 It’s not that this album is bad, there’s nothing wrong with it but Night Ranger strays too far on the wimpy side of rock too often to prove interesting enough to warrant a further look into their catalog. Slick rock like this is good, but in small doses, and it just doesn’t hook me enough to feel like I need to own a studio album. Basically, every song here sounds like it was written for a motion picture soundtrack. In fact, “The Secret of My Success” was written for a movie — the Michael J. Fox film of the same name. The band could come up with some fun rockers when they wanted to though. “Don’t Tell Me You Love Me” and “(You Can Still) Rock in America” are especially enjoyable. Most people know this band for “Sister Christian” but I’ve always hated that song. If they band was going to have a hit power ballad, it should’ve been the relaxing “Goodbye”.